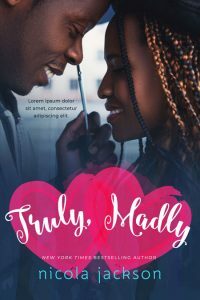 This African-American book cover features an happy couple in love. 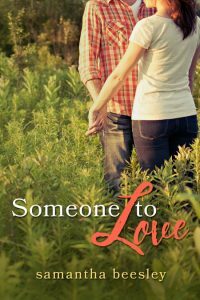 The man and woman are standing on a pathway between two row of tall trees. They are facing each other and standing close together. They both have smiles on their faces. The man is wearing a white shirt and jeans. The woman is wearing a white coat. 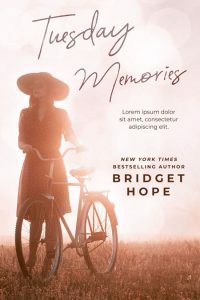 This women’s fiction book cover features a woman wearing a dress, a large hat and sunglasses. She’s standing next to a bicycle in the middle of a field. She’s holding onto the handles of the bike. 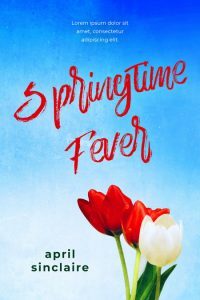 This women’s fiction book cover features two red tulips and a white tulip against a bright blue sky. 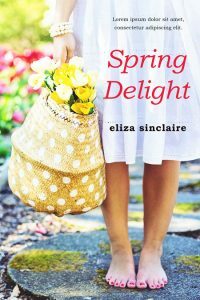 This women’s fiction book cover features a barefoot woman wearing a white dress holding a basket or bag full of yellow and white flowers. Only the bottom half of her body is shown. 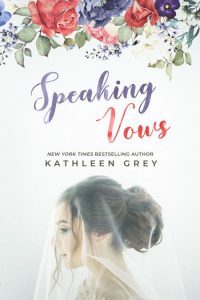 This romance book cover features a bride wearing a white veil. Only her head and shoulders are shown. She’s turned to the left. Painted flowers are at the top of the cover. 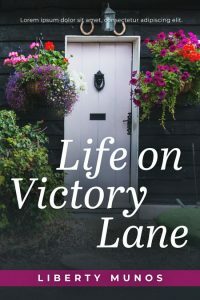 This women’s fiction book cover features a white door to a house. It’s surrounded by flowers in baskets. 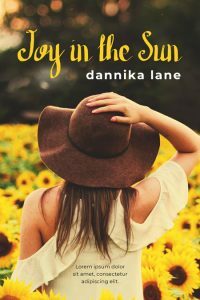 This women’s fiction book cover features a woman standing in the middle of a field of yellow sunflowers. Her back is to the viewer. She’s brunette and is wearing a big brown hat. 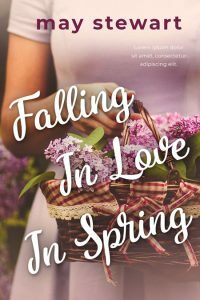 This romance / women’s fiction book cover features a close-up of a woman holding a basket of pink flowers. Only her torso is visible. 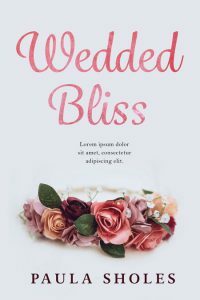 This women’s fiction / romance book cover is features a crown or headband made out of roses and other flowers. It’s isolated on white. It could represent a wedding. 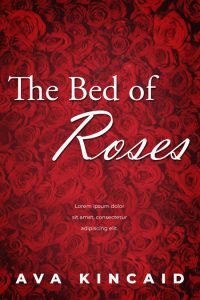 This women’s fiction / romance book cover is covered with red roses. All of the text is in white. 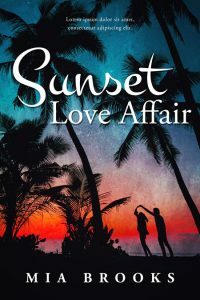 This steamy romance book cover features a shirtless man lifting weights. The man is well muscled and is scruffy. He’s wearing jeans. The top half of his face is not shown. 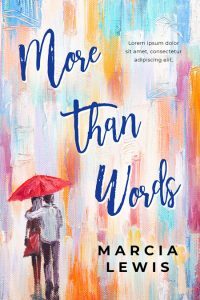 This contemporary romance book cover features a couple sitting on a blanket that’s on top of a long log on the beach. The are looking towards the water so their backs are to the viewer. The woman is wearing a long white dress so it could be a wedding dress. There’s a bouquet of flowers on top of the log. 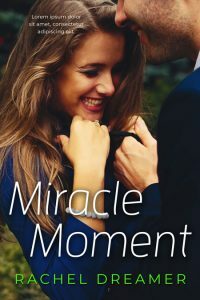 This contemporary romance book cover features a close-up of a woman’s hands around a man’s neck. 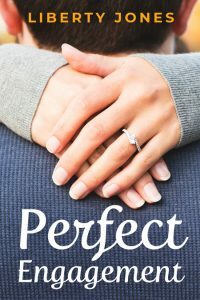 The woman has an engagement ring on her finger. The man has brunette hair. 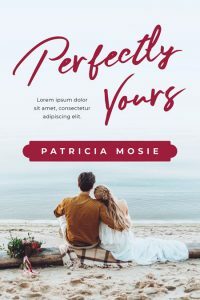 This contemporary romance book cover features a couple standing close to each other outdoors. The man and the woman are both smiling. The top of the man’s head is not shown. 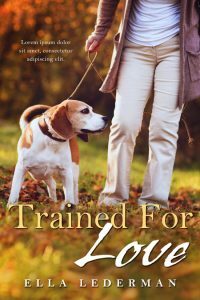 This pet romance book cover features a woman walking her dog in a park. It’s autumn. The woman’s face is not shown. 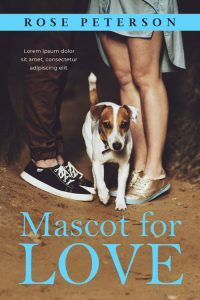 This pet romance book cover features the legs of a couple standing and facing each other. The woman is wearing a dress and the man is wearing brown pants. There’s a dog between their feet. 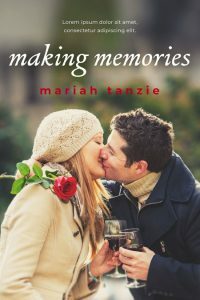 This contemporary romance book cover features a couple kissing outdoors. They are both holding wine glasses. The man is holding a rose on the other hand. They are both happy. 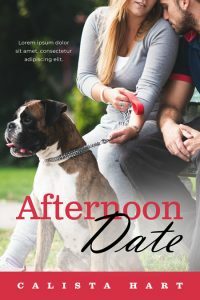 This pet romance book cover features a couple sitting on a bench with a dog on a leash sitting on the ground in front of them. The woman is blond. The top halves of their faces are not shown. 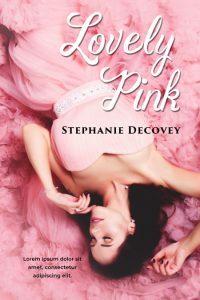 This romance book cover features a brunette woman laying down wearing a pink dress. The tool of the dress is all around her. She could be a princess. 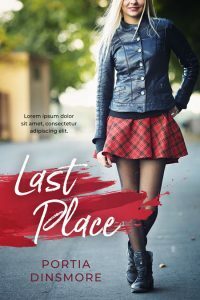 This contemporary romance book cover features a couple in a close embrace. Both the man and the woman have brunette hair. The woman’s face is turned towards the viewer. She has a smile on her face and her eyes are closed. The man has his head turned towards her neck. 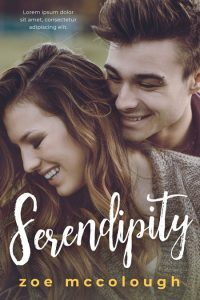 This romance book cover features a couple. The woman has long brunette hair and she has the back to the viewer. The man is facing in the opposite direction but his head is turned towards the woman. The woman has her hand on the man’s chest and he’s holding that hand at the wrist. The top half of the man’s face is now shown. 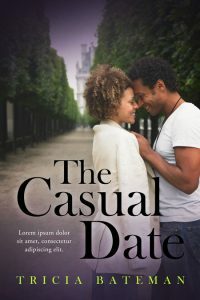 This African-American romance book cover features an African-American couple facing close to each other and smiling. The man is holding an umbrella. The woman’s hair is braided and has blond streaks. They are both smiling. 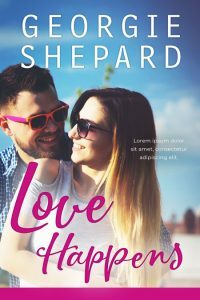 Two pink hearts are in the back of the title. 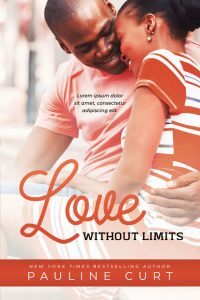 This African-American romance book cover features a happy black couple sitting down and hugging. They are both smiling.